​This service is operated by Blue Triangle. ​Following the construction of the Olympic Park in Stratford for the 2012 Olympic Games, a special staff shuttle bus was provided for the construction workers. 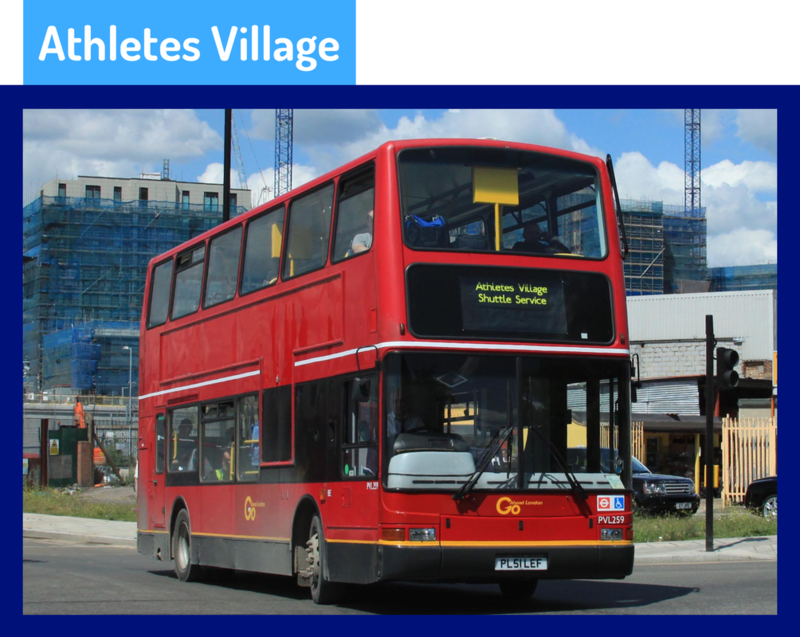 ​This route operates between Stratford Station then runs non-stop to Athletes Village. This is a restricted service for staff only. This service is operated by Blue Triangle. 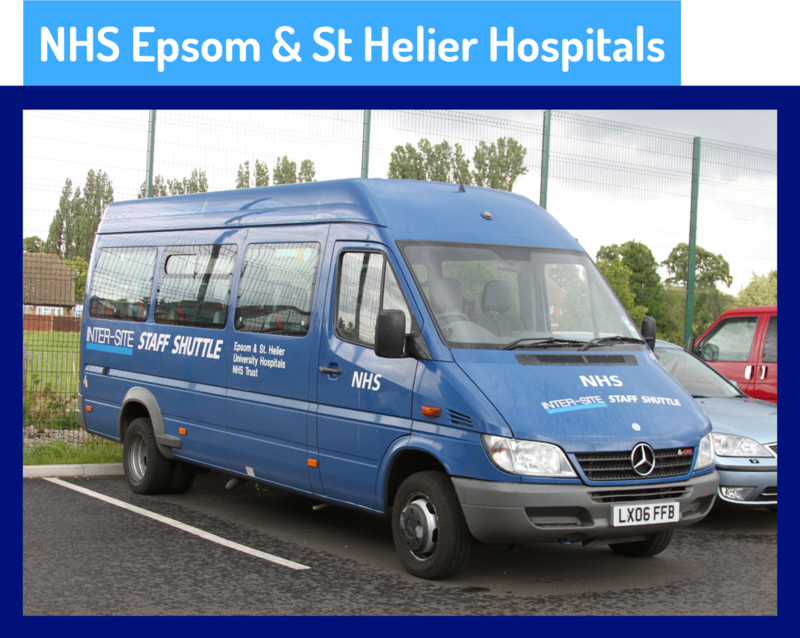 ​This service is operated by Epsom Coaches. ​Atkins is one of the world’s most respected design, engineering and project management consultancies in the world. The company aims to reduce its carbon footprint by providing its Epsom Head Office staff with a shuttle bus service. 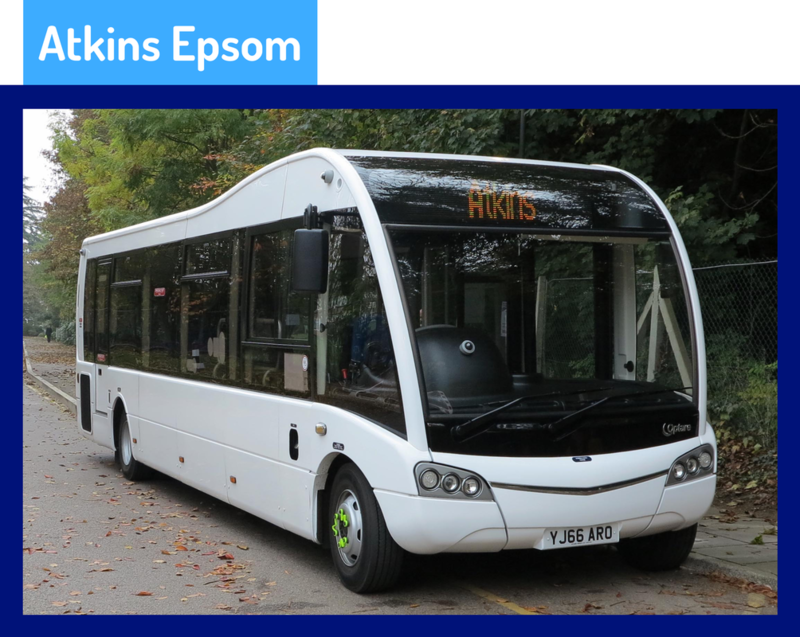 This route operates between Atkins Epsom head office then runs non-stop to Epsom station. This service is operated by Epsom Coaches. ​Redevelopment is taking place around the Battersea Power Station at a large scale, therefore there are large numbers of staff working on the site. A special shuttle bus service operates at peak times Monday to Friday only. 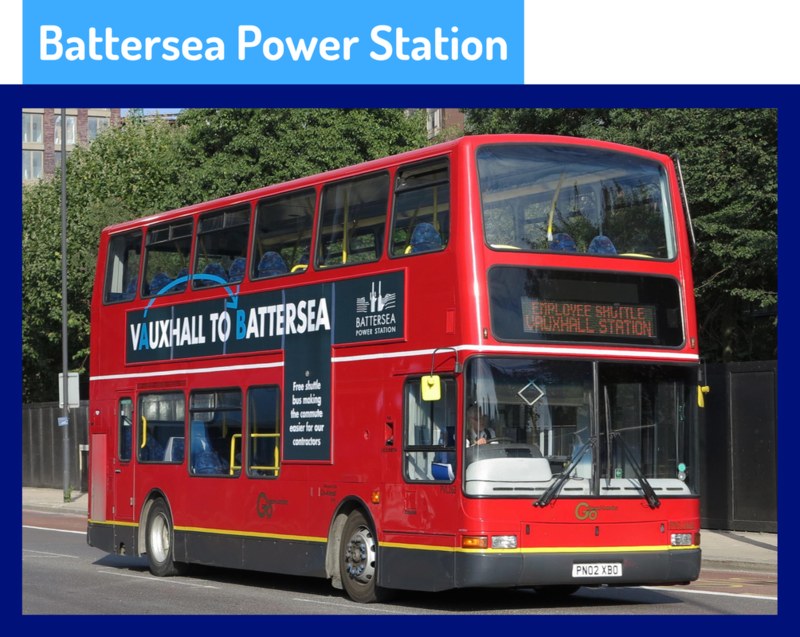 ​This route operates between Battersea Power Station then runs non-stop to Vauxhall Bus Station. This service is operated by London General. ​This service is operated by National Express. This route operates between White City, Kensington Olympia, Great Portland Street then runs non-stop to Elstree Studios. ​This service is operated by Flights Hallmark. 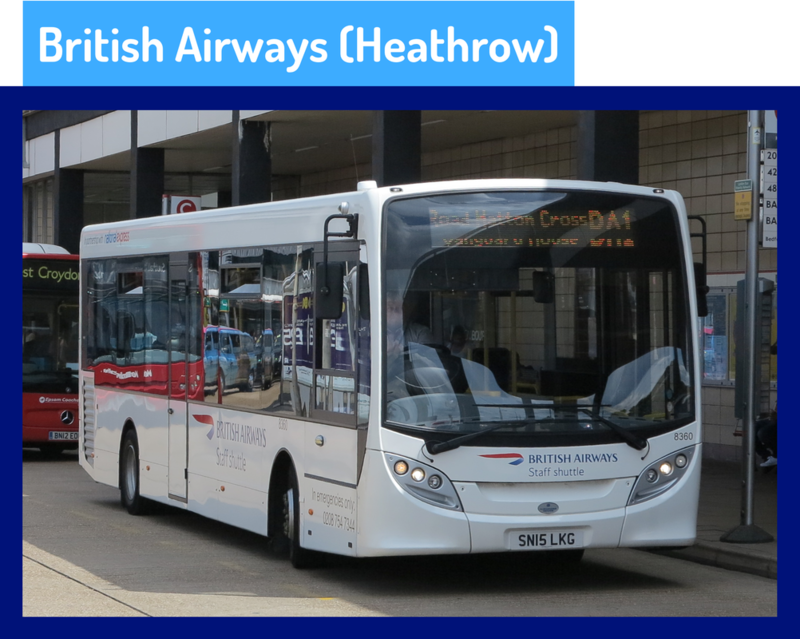 There are about seven routes that operate in and around the Heathrow Airport area for staff. Cranebank, Hatton Cross, Staines Station, Terminal 1/2/3, Terminal 4, Waterside, West Base & West Drayton Station. This service is operated by Flight's Hallmark. ​This service is operated by Arriva London. 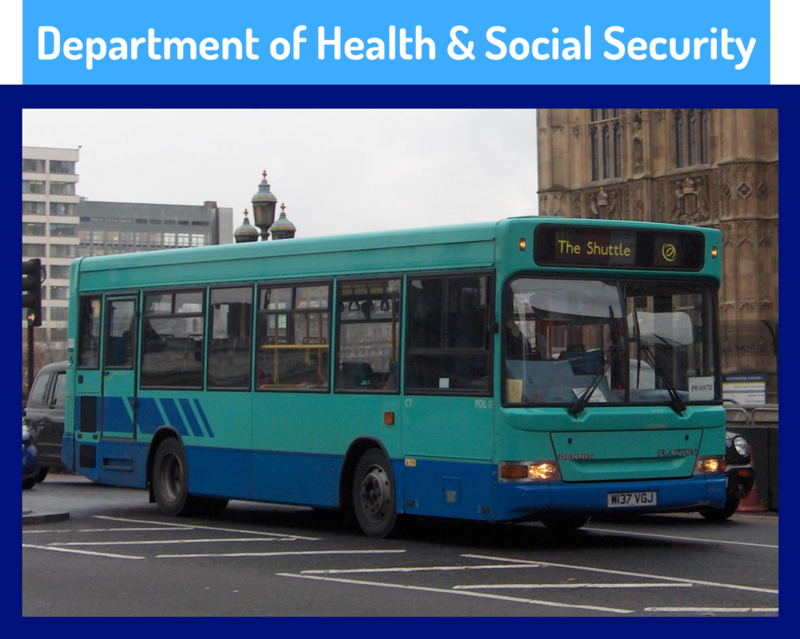 ​The Department of Health and Social Security Staff Shuttle Bus was quite a rare route that operated in central London. The Shuttle ran from Whitehall to Elephant & Castle via Westminster Bridge. The service was withdrawn back in 2006. ​This service is operated by Impact of London. ​GSK is a science-led global healthcare company that aims to deliver growth and improving returns to shareholders through the development of innovative pharmaceutical, vaccine and consumer healthcare products. 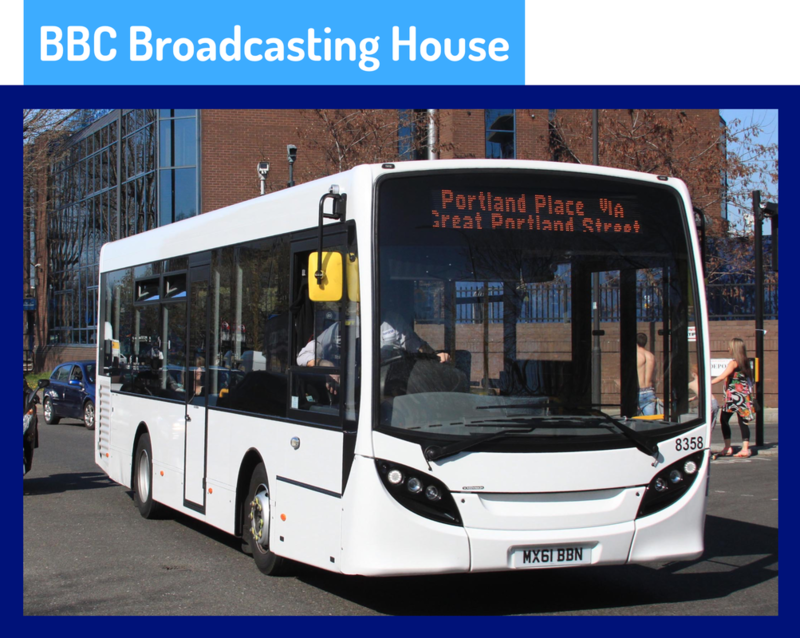 The company aims to reduce its carbon footprint by providing its Brentford Head Office staff with a shuttle bus service. ​This route operates between GSK House, Brentford then runs non-stop to Northfields Underground station. This service is operated by Impact of London. The service is operated by Epsom Coaches. 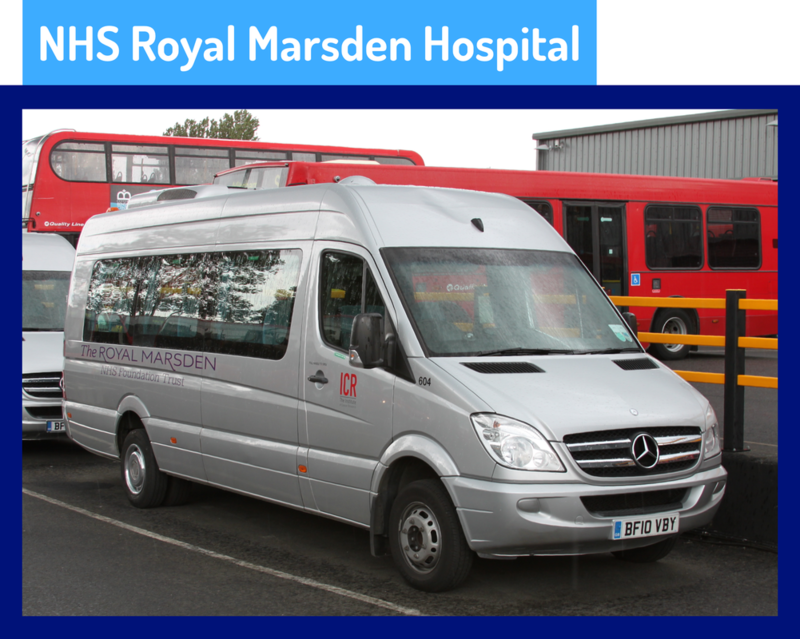 ​A special staff shuttle bus operates to and from Epsom, Royal Marsden, Sutton and St Helier hospitals on weekdays. Theses services are strictly for staff use only and no timetable information is obtainable. This service is operated by CT Plus. 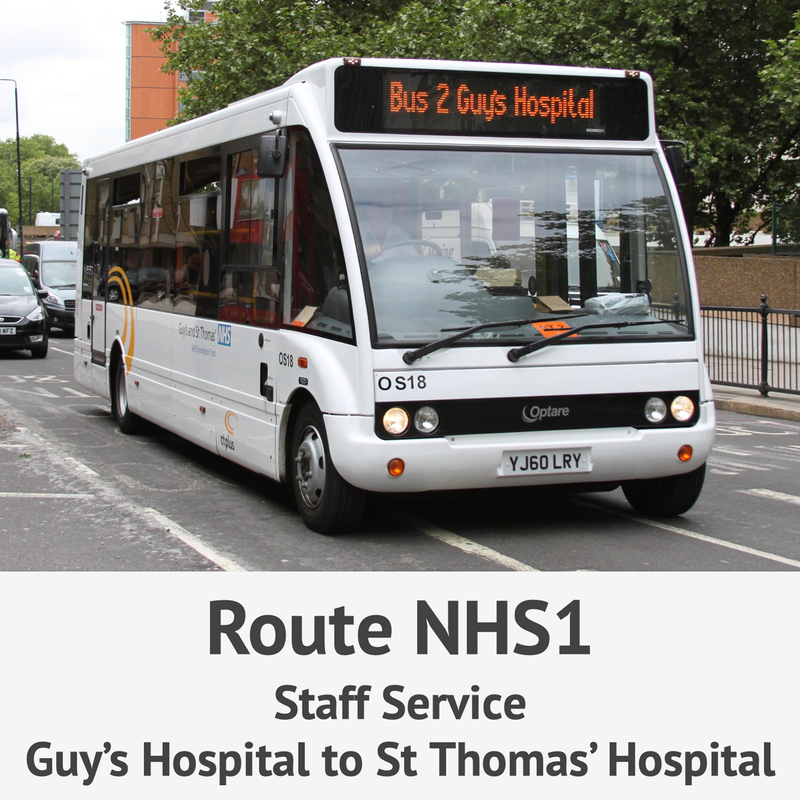 ​A special staff shuttle bus operates to and from Guy's and St Thomas' hospitals on weekdays. The service is operated by CT Plus. ​The service is operated by Epsom Coaches. 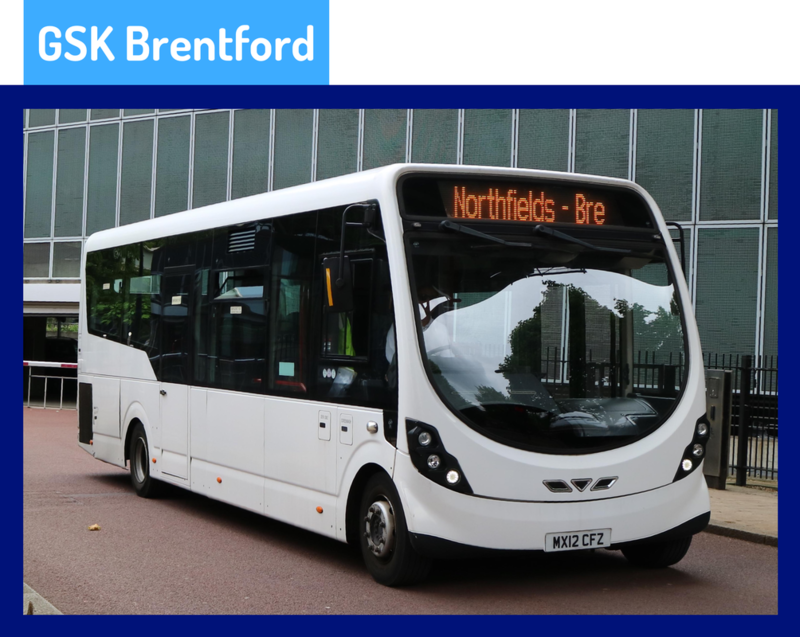 ​This service is operated by Cobra Corporate Services Ltd.
​Sky provides its staff with a shuttle bus network which links many stations and towns in the area. Sky encourage its employees to use public transport or the shuttle bus. 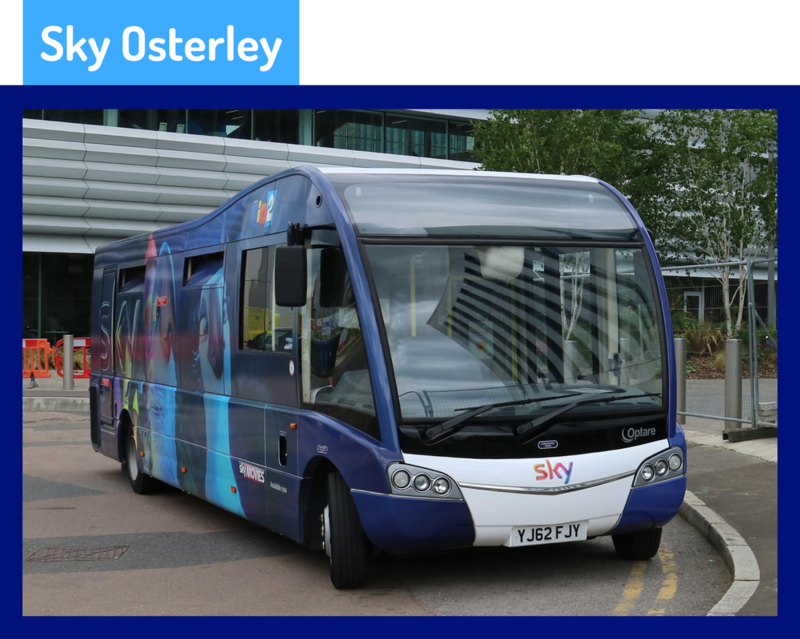 All routes operate to and from Sky’s Head Office in Osterley, West London. This service is operated by Cobra Corporate Services Ltd.